Longevity isn’t a dirty word in the music business. Neither is prog for that matter. Galahad are both. 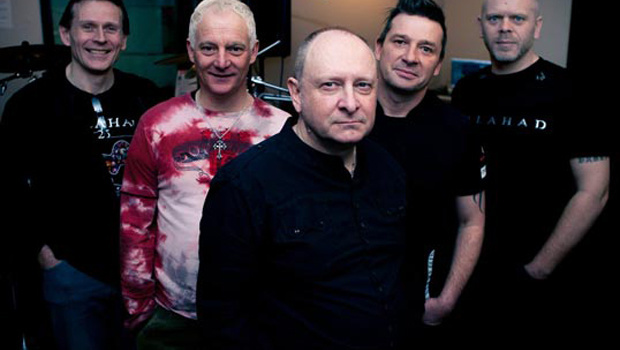 A band which has had over thirty members passing through its ranks since its inception back in the mid-eighties, singer Stuart Nicholson has been along for the whole ride. The recent When Worlds Collide retrospective can be found reviewed on TPA HERE. As 2015 limped to a close, Mike Ainscoe got the chance to pose some questions to Stu for the Classic Rock Society. Stu was in such good form that the Rock Society mag had to edit his musings to manageable length, but with the view that all publicity is good publicity, the CRS and Galahad have given the thumbs up for TPA to use the full version. So – sit down with a nice pint, stick on some classic prog and have a read through the highs and lows with a view of the changing face of the music industry from the perspective of a jobbing band. Mike Ainscoe: For starters, it seems almost compulsory to ask for an attempt to summarise or put into perspective the thirty years of being in the band. Stu Nicholson: Well, to be fair, it’s been one hell of a rollercoaster of a journey, mainly great fun, sometimes wonderful with occasional lows (the lowest point being the passing of Neil Pepper in 2011, our long time bass player and very great friend) and a few problems here and there, which is bound to happen over such a long period. I suppose you could say that we are effectively a large extended family to be honest as we are still friends with many ex-members too which is good. In fact Mark Andrews who played keyboards for us in the late ’80s and early ’90s contributes piano to three tracks on our forthcoming When Worlds Collide retrospective album and Sarah Bolter, who I went to school with and who has contributed to various albums over the years, sings some backing/answer vocals on the new version of Ocean Blue. But one of the best things about the band is that it has allowed us to travel and to see, do and experience things, mainly very good, that we would probably not have done otherwise in our ‘normal’ day to day lives, so for that I am for one very thankful. MA: Like many things in life that set out in a simple fashion, being in a band is the same in the way you suddenly find that time flies and you’re several years down the line. SN: We didn’t set out to have any kind of longevity, like any young band it was all very much spur of the moment and day to day, but it gradually morphed into something that became almost tangible, a massive part of our lives and although sometimes it can be difficult I really wouldn’t know what to do if I didn’t have it! Although we’ve never hit the heights of success as a few of our contemporaries have we’ve actually done okay and probably quietly achieved far more than most people realise as we’ve never shouted out from the rooftops as it were, and what’s more we’re still here, still motivated and looking to the future…writing, recording, playing 30 years after it all started in July 1985 in a front room in Christchurch! The band has been self-funding for many years now which is a bonus. I’ve considered various ideas such as crowdfunding, but to be honest, I like to be self-sufficient and we don’t need it and it surprises that some of the bigger bands do, other than some of those that are full time of course! I guess I’m a bit of a control freak and like to be in control of pretty much every aspect of the band, of which there are many, other than the actual music of course which is mainly Dean and Roy’s domain although I have my moments! MA: Thinking about the early days of the band and the shift from playing covers to support slots and the realisation that you could compete in the prog market, how did the band’s music evolve? SN: To be honest, we always were more of an ‘originals’ band from day one in fact and only played covers as many of the smaller pub and club venues in our area wouldn’t book the band unless we played covers which was frustrating! We started off playing more covers than originals but gradually infiltrated the set with more original material as time went by which was also fine with many of the venues as we were building a good local following in the late 1980s in the Bournemouth/Poole and Southampton area, although it was fun to play the odd cover here and there. MA: Readers of Andrew Wild’s One For The Record biography published in 2013 will be thrilled to note the painstaking detail which records those early days when Galahad were including covers in their set, which included a lot by then current artists (i.e., Marillion, Twelfth Night) as opposed to classic bands (Genesis, etc.). SN: The early covers were always a mixture of old and new plus of course we were a prog band so naturally we played mainly ‘Prog’ related tunes with the odd curveball thrown in occasionally, such as a John Lennon or U2 tune plus the occasional heavy rock ditty by Zeppelin or such like and on occasion Black Sabbath, plus we used to tease the audience with an occasional AC/DC riff here and there! The Twelfth Night tracks (The Ceiling Speaks/Fact & Fiction/East of Eden) were included mainly because Roy had always been a big fan and Andy Revell was one of his favourite guitarists, along with Steve Howe and Steve Hackett which was ironic as both Roy and Dean ended up playing in an incarnation of Twelfth Night years later after Galahad had played with a reformed Twelfth Night near Barcelona in Spain in 2008 and they were invited to augment the TN line-up for some planned gigs. It was also a great honour to play with Geoff Mann, the original TN front man, at the Royal Standard in 1991 where for the first and only time I watched my own band perform The Ceiling Speaks with Geoff fronting on vocals. Now that was a surreal but also a massive goose bump moment which none of us will ever forget, he was also one of the friendliest and most helpful people you could meet which made it even more poignant; a very sad loss indeed and at such an early age too. MA: Although the origin of the quote is dubious, Galahad were famously called “the world’s first skinhead prog band” – having gone through various fashion ‘eras’ during your career was the presentation always quite an important part of the Galahad live experience? SN: Oh yes, I think that was Roy or maybe me? It was just a joke, really, pertaining to the fact that we were getting older and the hair was beginning to go! It wasn’t a fashion thing as we were never and will never be fashionable! It was more a case of wanting to put on a show and entertain people which in mainstream/hip music at the time wasn’t cool in the slightest, especially during the shoegazing/early Oasis era where standing around on stage looking bored seemed to be the thing. But not for us – it’s just not prog! Plus, I admit, I’ve always had a penchant for dressing up. It’s not a shyness thing as it was for Peter Gabriel I believe, I just like making an impression, which was important in the early days as it made the band stand out from many of the other local bands at the time. Even if people thought you looked daft or stupid wearing full face make up and painted nails they certainly didn’t forget you. In fact Lin, my wife, once watched us support IQ, we didn’t know each other at the time and she wasn’t keen on my Adonis Blue butterfly face make up. Obviously, she came round in the end and a few years later we married! 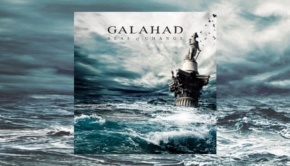 MA: There will be fans who see Galahad as a classic prog band in terms of the keyboard sound, the strong impact of the guitar, the arrangements and the presentation all upholding what is often seen as the trademark of a classic prog band. The fact that you still remain very active thirty years since your formation must point to some key factors in the longevity of bands like Galahad and Marillion, IQ and Pendragon. SN: It’s fair to say that we started out as a fairly traditional prog band in the mid ’80s and we just missed the early ’80s revival. 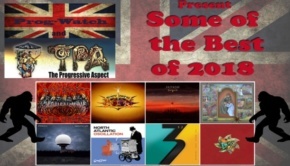 Our timing has always been atrocious, but contrary to what some people think we were influenced much more by the original bands from the late ’60s and early ’70s than the so called ‘Neo prog’ bands of the so called early ’80s revival as at the time we hadn’t even heard of half of them and were surprised to realise that there was actually a bit of a scene out there, albeit very fragmented and localised. I think that the likes of the Whitchurch shows, a few London promoters, the Classic Rock Society and a few others helped to bring it all together in a good way and it provided a platform for bands to meet each other and realise that they weren’t the only ones hanging in there and that there were others trying to do similar things musically and also trying to get exposure and get noticed by a generally nonchalant music press and public! What’s more there was also a core audience, not massive but it least it was there, which was very encouraging and I think that a lot of that audience who were similar in age to ourselves have grown up with us over the years and many still support us for which we are so grateful. These days with the advent of the Internet and social media it’s actually a lot easier to be in touch and see what’s going on, but amazingly, there also seems to be far more happening than when we started and I must admit I always thought it would go the other way and the music would gradually die out, but the opposite has happened and I think it seems to be in fine fettle at the moment, lots of different bands doing different things but falling under the umbrella of so called ‘Progressive Rock’, and some of it is actually even quite ‘Progressive’ in the real sense these days too! MA: There’s also the fact that the core of the band – alongside you, there’s drummer Spencer Luckman and guitarist Roy Keyworth (and Dean Baker on keyboards to an extent) who are a pretty constant line up these days. SN: I do feel that we have changed a lot over the years, partly due to many line-up changes, although we’ve been fairly consistent in the last few years, now having four members in the band who were in Galahad in 1989 and Dean has been with us since 1996 and he’s the new boy effectively. We also incorporate far more modern and diverse influences into our music than we did when we started from dance to ambient to classical to the heavy stuff, much of it down to Dean who is not your typical prog keyboard player and actually knows very little about the original classic bands that the rest of us still love and revere so much, which I actually think is a good thing as it gives a slightly different sound. MA: Over the years, Galahad HQ has always been very active in the release schedules of material aside from ‘official’ studio albums – even from the early days for those of us who remember cassette releases! The website is a healthy going concern packed with information and an online store full of potentially wallet lightening Galahad goodies. There is also a nice section of trivia on the website so if anyone wants to know the why’s and where’s and the inspiration behind the band name (more fruit and veg than King Arthur and the Round Table) plus some interesting facts and figures. SN: Oh yes, whilst we are writing we are always conscious that we still need to try and keep up our profile, although it’s not always easy as press support can be somewhat erratic, so if we have the time, finances and resources we may make other interim releases available, such as the EPs last year. That was a fun exercise and I think they showed Galahad in a less bombastic light as they included quite a few more mellow versions of songs from our repertoire. There was also the new Solidarity live 2CD/DVD release recorded in Poland a couple of years ago and other sessions that have never seen the light of day before. We’ve actually built a large back catalogue of material over the years. MA: In fact, in your 30th year you’re probably even busier than ever in terms of releases, not missing the chance to promote a retail opportunity. SN: By the end of this year we will have released four physical albums, a download album and an EP, in the last twelve months being Empires Never Last (expanded, re-mixed and re-mastered), Empires: A Curious Companion, Sleepers (20th anniversary re-mastered edition), Solidarity – Live in Konin (double CD and DVD), When Worlds Collide (a 2 hour 40 minute long double CD retrospective set containing brand new recordings of 10 older Galahad songs including one, City of Freedom, from 1986 which has been recorded properly for the first time), plus the 30 taster EP … so quite a bit of band activity this year! SN: To be honest I don’t. There isn’t any definitive Galahad album, in my humble opinion of course, as they all represent different incarnations and eras of the band and everyone has their own favourites, although Empires… was the first album we recorded with Karl Groom at Thin Ice which did kick-start and rejuvenate our ‘career’ if you like as we’d had a few difficult years in the early 2000s for one reason or another and we have a lot to thank Karl for. In fact, I’d go as far to say that these days he is our George Martin, almost like a silent sixth member as he has so much empathy with us. He basically got us back on track and I think all the albums/EPs, etc., we have recorded with him have been very strong, but each still have their own personality. My personal favourite is the Euphoria album, but then it should be as it’s the last one we recorded and released! The CRS award was a very pleasant surprise and it was a nice touch to receive it from John Wetton who had contributed a few backing vocals to our previous Year Zero album and who had also had a few problems of his own, thus it was quite a fitting and emotional moment. As far as ENL is concerned we’d actually completely run out of copies and didn’t simply just want to re-press and end up with a 1,000 or so albums in stock that may take a while to sell (as back catalogue tends to) so we thought that as, unlike the older albums, we have the music backed up as WAVs at Karl’s and can look at it at any time, why not re-visit it, tweak a few things as to how, in retrospect we wanted them to sound and then add a couple of extra tracks. Hey presto, we have a new-ish release which, although I know it sounds awfully businessy, but that is the reality as it is a business and it meant that as it was a ‘new’ version we could gain a little extra publicity and potentially sell more albums to cover the costs of pressing, etc., which worked well and the fans also have a new, fresher sounding release so everybody benefits which is good. MA: As well as a 30th Anniversary gig at Mr Kyps in Poole earlier this year, Galahad have a healthy gig-ography including a few big gigs in their time which must stand out as highlights – Baja Prog 2013 and Loreley 2010 come to mind – there must be quite a few which stand out for different reasons? SN: There are so many; the Whitchurch festivals organised by Pete and Dave were always great fun, almost like a Southern version of the CRS, and the atmosphere was always fantastic. The Marquee shows were wonderful fun as was playing at The Astoria in London, although both venues sadly no longer exist. Our first overseas show in Paris in 1991 was very memorable but not just for the music as it was in the middle of the first Gulf War and the venue was in a, shall we say, Middle Eastern area of Paris which was interesting to say the least as they wouldn’t let us out of the venue to wander around! We once played a surf festival in Bude where we went on after a ‘Miss Surf and Rock’ beauty Competition – now that was fun! 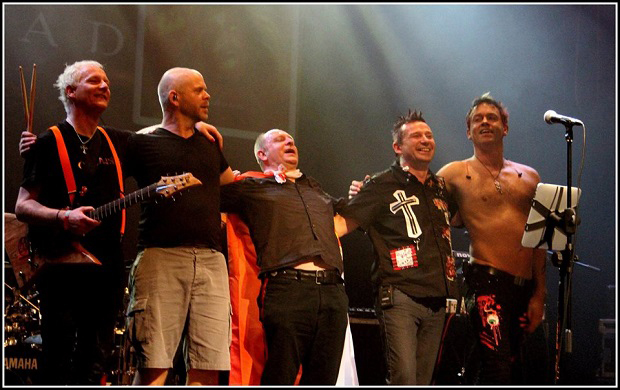 The Polish shows are always great fun, plus playing Quebec was also a blast as was Rosfest back in 2007; the U.S. audience was incredible, very vociferous. Italy a couple of years ago was also great fun. It was open air the weather was wonderful and it was held in a beautiful village in the middle of nowhere, plus of course we were fed lots of rather lovely Italian food and wine…sublime! We’ve also experienced the not so good side to live shows, our ‘Spinal Tap’ moments I guess you could call them. We once played in a car showroom in Southampton to an audience of Vauxhall Astras and Cavaliers plus a few slightly bemused prospective vehicle purchasers; the sound was terrible as it was bouncing around all over the place. I’m still to this day not quite sure why we played there! It wasn’t bad just very odd! We also once played in Chippenham to nobody whatsoever in what was, unfortunately, a rather large hall. We thought “they’ll be here soon” and then we thought “is this some kind of joke?” Eventually one solitary punter turned up who also happened to be a guitarist so Roy let him come up on stage and have a jam, which he really enjoyed! We later found all the posters and flyers for the show that we had sent to the venue under the reception desk in a cupboard, the promoter had simply not bothered to push the show which was a little frustrating, and of course this was all pre-internet too so very difficult to keep tabs on! MA: The band also seem to do a lot of stuff playing live on Record Store Day. SN: The Record Store Day shows came about as I know the guys who run my local record shop, Square Records, in Wimborne very well as I have spent an inordinate amount of time in there over the year! They asked me if we’d play on RSD a couple of years ago, so I suggested Dean and I doing an acoustic/piano set as there was no way we could fit the whole band in there, so we did and it was great fun, plus I think we made a few new friends too. We also did the same for another vinyl emporium I tend to frequent a lot in Boscombe. Some things never change! MA: Prog seems to be having (another) resurgence right now and is quite high profile even with it’s ‘own’ magazine in Prog. After thirty years in a band and probably many more as a fan, what’s your view on the future for prog rock? SN: I think it is, as I alluded to earlier, in a very healthy state indeed at the moment with plenty going on and some of it very good and very interesting. As far as we are concerned though, we will do just what we do regardless of what is happening elsewhere, we always have done and we always will! 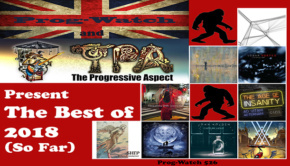 It is great that progressive rock is enjoying what I’d say is a partial resurgence and, obviously, the likes of PROG magazine can only help to propagate the ‘scene’, as it were. I am also thankful they give us the oxygen of publicity occasionally which is helpful as we have always been pretty independent – fiercely so – and not really part of any group or clique of bands, although obviously we have built a great relationship with Karl over the years, although I’m not really familiar with the rest of Threshold, but as we record at Thin Ice we know Clive Nolan quite well and occasionally bump into other musicians who are working there, such as Nick Barrett from Pendragon and Andy Sears only the other day. 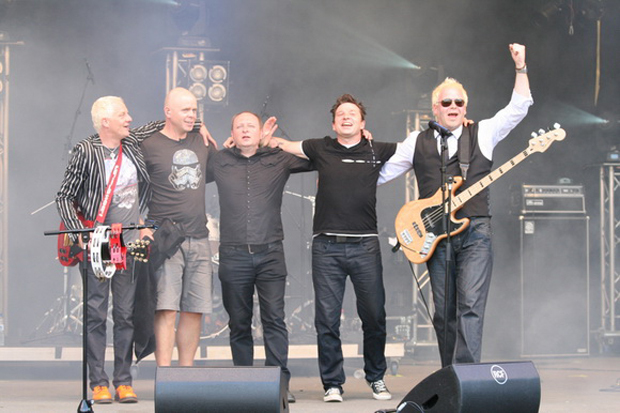 It was quite hard when we started as nobody on the face of it was interested in Progressive music, it wasn’t that long after Punk and New Wave and it was still very much a dirty word but we persevered and I’m so glad we did, if only to put two fingers up – very punk I know – to the naysayers and detractors! The reason Roy formed Galahad and Sequences, his previous band before Galahad, was because he didn’t like most of the ’80s music that was around at the time and thus decided to write his own! In fact, in many ways it could be argued that prog, which on the face of it is the antithesis of Punk, actually became what Punk was supposed to be about and should have been, only dare I say it, generally with more substance, and many of the bands were and still are small, do it for love and not for money and are the embodiment of the DIY music ethic, ironically much like how Punk started off along with all the various independent labels that promoted the Punk/New Wave scene back in the late ’70s and early ’80s. It is also good to see so many new bands coming through, some who are very young too, which I wouldn’t have thought would happen a few years ago. So yes all very healthy at the moment, almost too much in fact, competition is strong and the level of musicianship in some of these newer bands is incredible, technically much better than us but we will carry on for a while yet and as long as there is an audience and support out there I’m sure we’ll keep at it. However, it doesn’t matter how good technically the musician is, you still have to come up with new ideas which actually, in my opinion, is the hardest part, especially for older bands (although I still feel like I’m in a new band) like us who have released so many songs and so much music over the years and also listened to so much other music too. But I think it’s also that challenge that keeps us fresh and motivated. Thankfully I haven’t had writers block…yet.. Fingers crossed it won’t happen! MA: Although there is that very healthy catalogue of releases, in the absence of a multi-CD set of rarities, outtakes and live cuts plus accompanying DVD of archive footage, what’s next for Galahad? SN: Well, we’ll probably spend most of 2016 writing new music and songs for our next studio album. We already have around half a dozen or so ideas which just need knocking into shape, we may also record another old classic Galahad number as an extra track for the next album but it’s early days and anything could happen – and with Galahad and it generally does! The When Worlds Collide 30th anniversary project has been great fun as I’ve always wondered what some of the old songs would sound like now that we have better recording facilities and work with an engineer in Karl who has complete empathy with the band, plus we can afford to spend more time getting things how we want them to be unlike in the old days when the budget was very limited and we had to get everything done on a shoestring generally very quickly, quite often working with engineers who didn’t understand what we were trying to achieve or simply didn’t care! I guess we should count ourselves lucky that we can do such things these days, although we have worked very hard over the years to be where we are, which is not a ‘big’ band mind you and we are not full time, although I work more for the band these days than I do on the ‘day’ job, but it’s a good place to be as we can do what we like and not be told what to do or what to release by a record company – one reason why we remained resolutely independent. A record company deal of some sort may have resulted in more sales but financially, the chances are that we’d still be a lot worse off. Over the years we’ve been offered more dodgy deals than you can shake a sticky stick at and dealt with some really seriously undesirable people – or should I say sharks – probably hence why we have such a stubborn stance regarding our independence. I’m sure that if we had gone down the record company route the chances are that we wouldn’t be about today because of all the stress that it would have resulted in and after all only a very, very small minute percentage of bands actually make a decent living let alone any serious money out of this often quite dark and dodgy industry in which we operate, luckily, on the periphery. To be honest I think most of us are just journeymen doing it for the love of writing, recording and performing music. If it was for money we’d have given up years ago! Putting out the vinyl versions of the last two studio albums has been fun though, it was great to see a proper gatefold album, touch it, feel it, read the credits like we used to when we were kids. I guess it’s a generational thing, but we’ve released getting on for 20 odd album CDs but the feeling I got from those LPs was like nothing else I’ve ever felt, I immediately got massive goose bumps when I first received copies of Battle Scars on vinyl, I was immediately transported back to my childhood and teenage years and for a moment the LP in my hand vindicated the whole existence of Galahad. Plus I was so pleased as, in my humble opinion, both albums are sonically some of the best albums in my collection! In some ways you could say that the way music is released has literally come full circle! Thank goodness as for a long time I thought we would never get a chance release an actual vinyl album which was one of my dreams when we first formed the band all those years ago, just as CDs were taking over the world. It just shows good things come to those who persevere. It only took 27 years! A shortened draft of this interview appeared in Rock Socity #211– the magazine of the Classic Rock Society. We have been given full permission by the CRS and by Galahad to use the full unedited version!! Galahad’s recent When Worlds Collide release is a historical double CD retrospective with a twist. 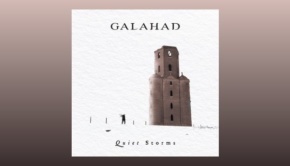 Including ten tracks which are brand new recordings of older Galahad songs, some dating back to 1985 including a 30 year old track (City Of Freedom) never before recorded. You can read Leo Trimming’s TPA review of it HERE.